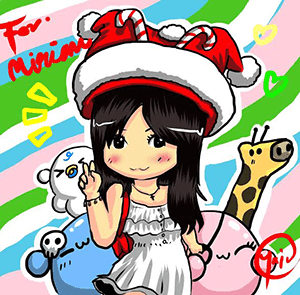 Hi there my dear merry-goers! How has the week treated you? It is the weekend tomorrow and there is a huge event taking place from Converse! Remember the launch of the Pop-up Store for Converse x Jack Purcell that I attended several weeks ago? If you have not checked out the launch of the Fall 2014 Converse edition, check it out here! 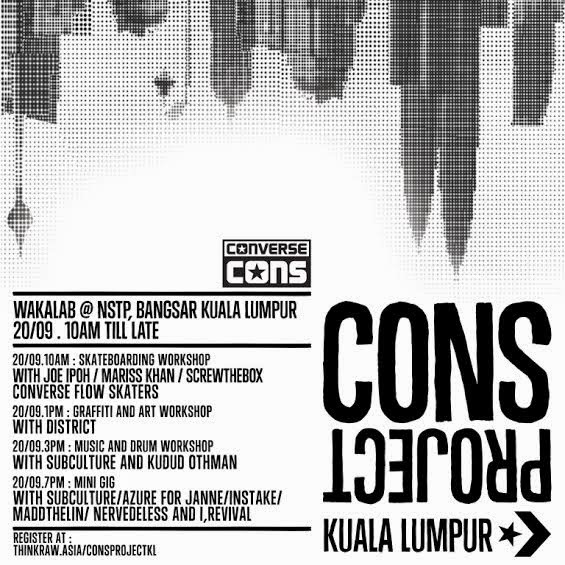 Anyway, thank you to Jack and the team for inviting me to the CONS Project by Converse which is happening at Wakalab @ NSTP, Bangsar tomorrow (20/09/15) from 10 AM till late! 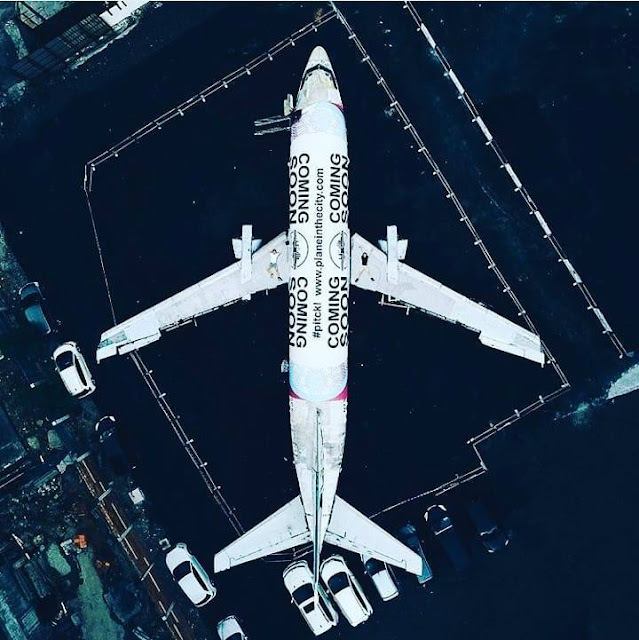 Converse's CONS Project is actually a GLOBAL community project which was designed to inspire the next generation of creative spirits! They inspire through MUSIC, ART, STYLE, and SPORTS. The CONS Project has hosted series of free creative workshops in New York, Los Angeles, Toronto and Boston plus collaborating with experts from the world of SKATE, ART and MUSIC. 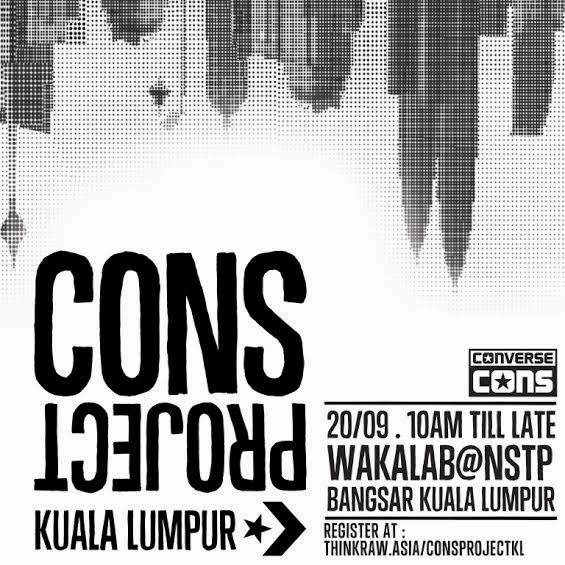 This time round there are having the CONS Project at WakaLab, Media Prima Digital located at Jalan Riong Bangsar from 10 AM - 10 PM! Ooh how exciting! CONS Project KL is offering interactive workshops from skateboarding, basic music skills, video production, graffiti art and more! Among those experts are veteran skateboarder Joe Ipoh, skate videographer Mariss Khan, punk rock band Subculture, Kudut, District as well as Converse CONS sponsored skaters. During the first half of the event, there will be a skateboarding jam and games along with mini gig performances by Azure For Janne, Instake, Maddthelin and I-Revival. I can't wait to join their workshop and will be attending the graffiti and music workshop! Do join me tomorrow and I can't wait to see all of you. If you are interested, you can collect your tickets at any Converse's boutiques or just register online at thinkraw.asia/consprojectkl! 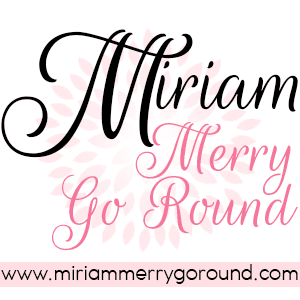 By the way, I have a new post about my first advertising deal to get more visitors, click here for more information.